Sunday David took me out for my birthday, we had dinner and a movie. 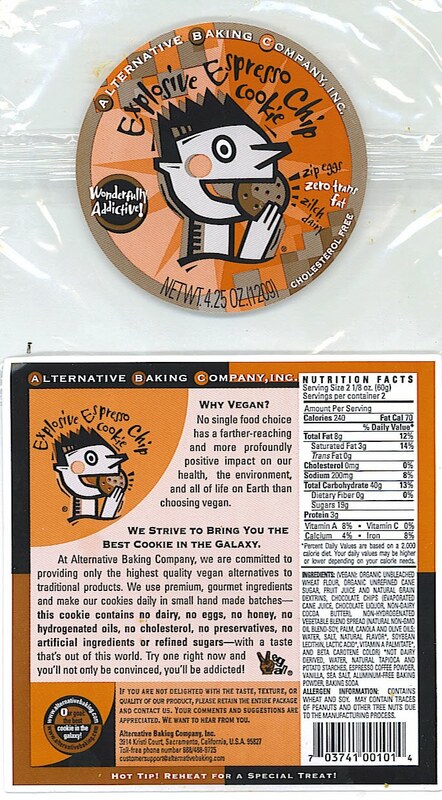 At the movie theater there were these vegan cookies sitting out on the counter. 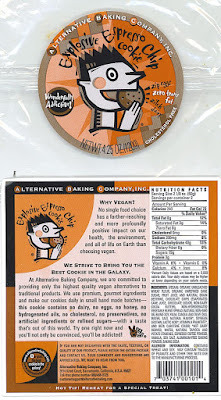 I am not vegan, but these cookies were yummy! They are done by the Alternative Baking Company. It was really good, we bought them in the movie theater. I don't how much the cookie was, but a small popcorn, bottle of tea and the cookie was a little over $14.